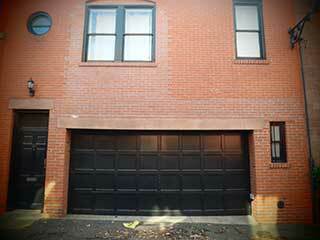 Home Blog What Are The Benefits Of Having A Steel Garage Door Installed At Home? There are all kinds of different garage doors on the market today. In Suprise, steel garage doors are by far the most common type available. There's a number of reasons for this. Read on to learn more about the benefits of steel as a garage door material below! Strength is a quality that you will not find in many types of garage doors. Steel is known to be a very strong material for making garage doors. Steel has very little chances of getting damaged and robbers will not even think about going to rob a garage that has a steel door. Many garage door service companies advice on using steel garage door because living in Arizona has its bad sides such as high chances of getting robbed. Every home needs a garage door that lasts long. Steel is made from iron and it can last a very long time without getting worn out. Any qualified garage door professional will tell you that with steel, you might not have to deal with garage door repairs or replacements for a very long time. Steel is a very affordable material. This means that people from all walks of life can be able to afford it. This is great because no matter how much you make, you have very high chances of being able to afford a good steel door for your garage. This type of garage door does not need a lot of money for maintenance. It is very cheap to always keep it in great shape without having to use a lot of money like it is with other types of garage doors. If you shop around extensively and carefully, you will be very lucky to find the perfect garage door. You will be able to afford a good garage door that will meet all of your needs. You can also make an order so that your door can be decorated with all kinds of patterns so as to give it a great appearance and make it compliment the décor of your home.